The plane takes us to the island of Axel Heiberg located south of Ellesmere. 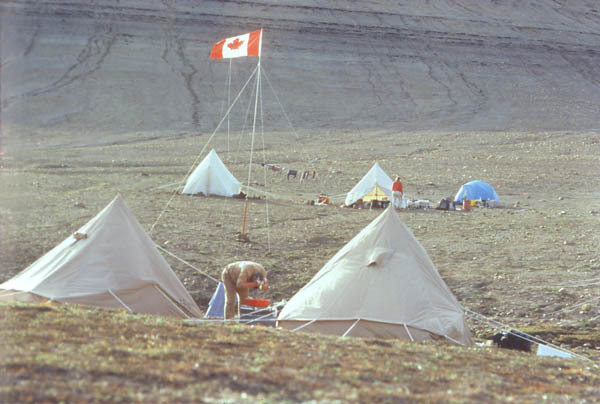 We land at a valley dotted with tents. This area which appears barren is the land of the fossil forest. Scientists from several countries - United States, Australia, Britain and Canada - have gathered to uncover the past of this land. The black lines are remnants of several forests 45 million years ago. My friends named it the Black Forest.